We offer makeup artistry services near downtown Bellevue so that you look and feel your best. We will make sure that you look beautiful! Our services include bridal, wedding, prom, event, and daily makeup, bridal and event hair styling, and makeup lessons. Our makeup artistry services are available on-site or, for a $150 travel fee, within 15 miles of our location near downtown Bellevue. We provide our services in a relaxing spa environment and have a private makeup room for bridal and event makeup. Our makeup artist Micheii is professionally trained. She knows all the different styles of makeup and can find what looks best for you. She will flatter your best features and knows advanced techniques such as airbrushing. Take a look at our portfolio here. We will create a customized bridal look that will help you look and feel your best. We also offer services for the bridal party, mother of the bride, and attendees. For more information on our wedding makeup services, see our wedding makeup page. We recommend you book a free private consultation to learn more about our wedding services, discuss what you’d like for your wedding day, and ask any questions that you have. 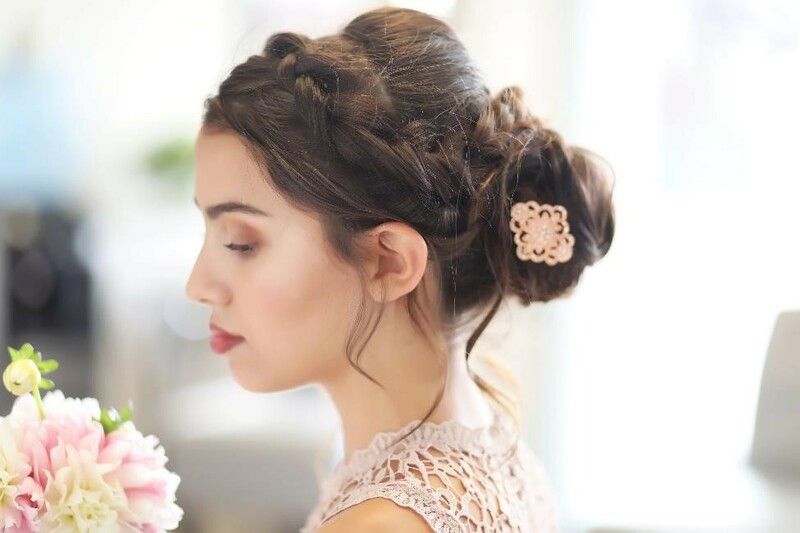 Whether it’s fun afternoon for yourself, an evening out, prom, or finding a new makeup look, we will be happy to help you feel and look your best. You can add any of the following items on to any makeup service to take your makeup to the next level. False lashes bump up the drama level to any look, and airbrushing foundation will give you a flawless complexion that lasts all day. We'll send you periodic news and specials.